Microsoft’s operating systems have been the cornerstone of computing for nearly 30 years. With a 90% share of the desktop market, there is no escaping just how deeply rooted Windows is in the psyche of home and business users alike. There have been hiccups along the way – Windows Millennium Edition, Windows Vista and of course Windows 8; but there have also been game changers such as 3.1, Windows 98 and, of course, Windows XP. The versions that got it right caused paradigm shifts in the way that people engaged with their machines, even if the ride was bumpy at times. Windows 3.11 introduced TCP/IP support, Windows 95 introduced 32-bit and Plug & Play; XP took away many of the paint points involved with home computing (after a couple of Service Packs). Conversely, when Microsoft got it wrong, they got it horribly wrong and Windows 8 was a prime example of that. The idea was straightforward enough – the world was obsessed with apps, mobile computing and touchscreens, so why not create an operating system that could be used on both desktops and mobile, delivering apps via a touchscreen friendly GUI. The problem was that while users had fallen in love with the iOS-esque style of mobile computing, they had also embraced the nature of the desktop and did not take kindly to being force-fed a touchscreen interface when using a mouse and keyboard. Business users especially were driven crazy by the many quirks such as a hidden desktop that could only be recalled by hovering one’s mouse ominously in the corner of the screen. Microsoft has skipped the next logical step in the dynasty and jumped straight to Windows 10. Some are suggesting this is because there is too much code referring Windows 9 hanging around from the days of Windows 95 and Windows 98. While there might be truth to this – the new name is obviously a double entendre; when it came to Windows 8, the project team got it wrong and the next iteration will not even be in the same postcode. In this new world, where revenues are driven by applications rather than the underlying OS, Microsoft can’t afford to get it wrong again. Well, technically it can – but it really doesn’t want to. 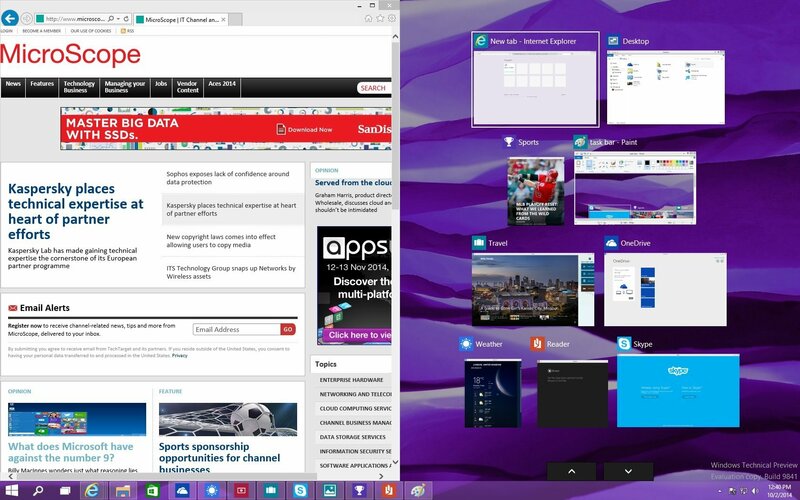 So what is Microsoft doing differently with Windows 10? Well, the overarching theme seems to be a return to the bread and butter Windows desktop. Microsoft is focusing all of its might on recapturing the market it alienated most with Windows 8 – the enterprise. 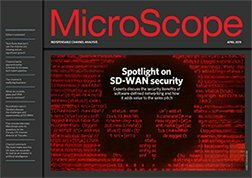 Microscope spent some time putting the new operating system through its paces; here are our initial impressions. Installation was a breeze and took only eight minutes using a relatively fast SSD. Rather than an upgrade, this was a clean install, but Microsoft assures us that the upgrade process is also a painless experience. Once up and running, the first thing that is apparent is that everything looks normal - just like a desktop should look! As with Windows 8, the colours are garish and obnoxious but straight off the bat, this is an ecosystem ready for business. The star of the show is, without doubt, the Start menu. Never has one tiny button been missed by so many people. After taking the time to click on it a few times, just to make sure it was real, we had a look at what was inside. Again, everything looked as it should with navigable and familiar-ish references to programs and folders. The Metro UI has been squeezed into a - not entirely - unpleasant window adjacent to the traditional options. While this might look a tad cluttered on a low res screen, it worked well on a 22in HD monitor. Search is also back and rather than simply searching through your local drive, it also pulls in results from the net. A nifty feature, although many users will be saddened to hear that it is powered by Bing. Snapping, which was introduced in Windows 7 and quickly became a favourite feature for power users, also makes a prolific return. One of the biggest complaints users had with Windows 8 was that apps dominated the whole screen and could not be resized. The snapping feature now not only lets a user snap apps, but it suggests how best to utilise the remaining retail space on the screen. Perhaps the most powerful tool for enterprise users is the virtual desktop feature. Mac users will be familiar with virtual desktops as it has been available in OS X for a few years now. Simply click on the new Task View button (similar to Launchpad in OS X), create a new desktop and continue your workflow in a new environment. We were unable to drag applications over to the new desktop and can only assume this is a glitch in the preview. 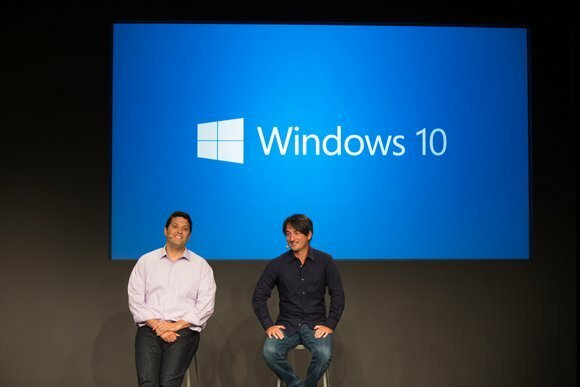 Conclusion: Is Windows 10 enterprise ready? There is a colossal distance between the first build of a preview and general release. Features will be added, bugs uncovered, anomalies addressed. It’s possible that Windows 10 may look and feel entirely different by the time it hits shelves next year. That said, after several hours of testing, this is a remarkably stable, bug-free preview. Installation was a breeze, every application thrown at it ran without issue, and it did what it was told – when it was told. The blinding colours don’t match the drab greys that we have come to expect in enterprise environments, but if Microsoft has genuinely created a scaling OS, that somehow morphs to any device, then it becomes an acceptable pallet for a tablet. Speaking of morphing, Microsoft has made quite a big deal out of the mutating capabilities of the OS; it’s an intriguing concept and we like it very much. The sales pitch is - an operating system that automatically adapts to its hardware, be it a datacentre, desktop, mobile, tablet, phablet or an Internet of Things…thing. However, the rhetoric coming from Redmond doesn’t quite add up. For starters, there is also a technical preview of Windows Server available. There are lots of fantastic looking features such as Active Directory Federation Services, PowerShell 5.0 and Hyper-V failover clusters; but - without meaning to state the obvious – this is a different operating system. Microsoft doesn’t even have a name for it yet. At the opposite end of the spectrum, let’s consider mobile devices. Microsoft is hardly about to open up the code to its flagship OS; it had a hard enough time letting go of MS-DOS. That means that devices will certainly be MS licensed and will likely be MS owned. Who will know whether or not the operating system on mobiles is the same magic seed we planted on our desktop – and even if it is, the ‘one OS to rule them all’ concept becomes slightly redundant. Microsoft has hammered its platform so firmly into the enterprise that it’s not going anywhere any time soon. The idea unravels even further when one considers the Internet of Things; this is a completely disparate ecosystem. The left hand doesn’t even know the name of the right hand, never mind what it’s doing. Using the somewhat trite example of a fridge – how does Microsoft know that Windows 10 will be compatible with any given smart refrigeration unit? Until there is some form of framework that ensures interoperability, the truth is that it doesn’t. But is it right for the enterprise? Given the backlash of Windows 8, it might seem like Microsoft is somehow on the precipice of losing the enterprise vote. The reality is that there is no chance of that happening. Very few organisations are going to run out and buy 1,400 employees a MacBook Pro. Nor are they going to offend power users by giving them a Chromebook; or retrain their workforce to use Linux. Microsoft has hammered its platform so firmly into the enterprise that it’s not going anywhere any time soon. All Microsoft needs to do is come up with a simple recipe that appeases home users, business users and administrators by building on past success. 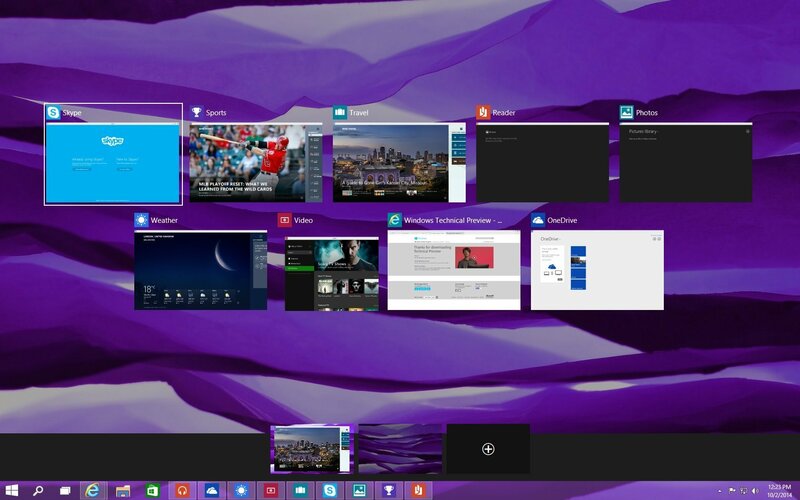 For the most part, Windows 10 appears to have all the right ingredients.